Der VK 30.01 (H) ist ein deutscher schwerer Panzer der Stufe 5. Die Entwicklung des Fahrzeugs wurde am 9. September 1939 in Auftrag gegeben. Über die Entwicklung hinweg setzten die Ingenieure von Henschel aktiv Komponenten des Projektes D.W. II ein. Die ersten beiden Prototypen standen im März 1942 bereit. Zwei weitere wurden im Oktober des gleichen Jahres gebaut. Die Wannen der Prototypen wurden im Testgelände der Firma begutachtet. Nach den Tests wurden zwei Prototypen in schwere Jagdpanzer umgebaut. Sechs Türme wurden von Krupp gebaut und auf dem Atlantikwall aufgebaut. This tank is slow for a tier 5 heavy and the rather weak armor doesn't help, giving this tank low survivability in close combat. Also, to be able to mount the 7.5cm Waffe gun, the turret has to be upgraded, but this will decrease the agility and drive-performance of the tank due to the added weight and the slower traverse speed. This tank is recommended for mid-range encounters, as the relatively accurate and highly penetrating 7.5cm Waffe proves extremely effective against even tier 7 tanks. Just make sure you have backup. This tank is a very good for learning more advanced defensive tactics: it has decent hulldown potential (above average gun depression of 8 degrees) and can easily diamond-angle (to the maximum of up to 45 degrees, although it is long). Der VK 30.01 (H) führt zum VK 36.01 (H), und dem VK 30.02 (M). Huge gun selection, this tank can unlock nearly every mid-tier German gun. Top gun has the best AP and APCR penetration and accuracy of all tier 5 heavies with very high shell velocity. 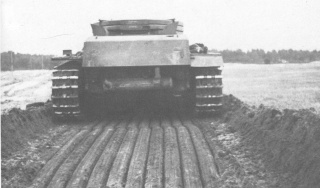 Thick tracks and equivalently thick side armour are both adequate to diamond angle or sidescrape. Poor maneuverability, and sluggish acceleration. Top engine and fuel consumable are recommended. The Germany Heavy is much maligned for its mediocrity, because of its weak and generally unsloped hull armor and low alpha. But the German heavies were built for covering large swathes of terrain, like turreted tank destroyers; ideally, far out of the enemy's engagement range (if not vision range). While in World of Tanks, tank destroyers capable of penetrating and fighting off the German heavies are more common, these tanks still do an excellent job. This tank should be played as a sniper, preferably hull-down, to make use of the excellent turret and above-average gun depression. Because of the terrible hull armour, you cannot poke and sidescraping can be risky, so you must learn good strategic positioning. Poking trick can be learnt later once you have decent alpha, side armour, and knowledge of the fundamentals. Playstyle can be compared to Tiger, VK 30.02 (M) or Panther, and this tank will prepare you for future German tanks. For open terrain, you will likely get the top turret. However, this makes the tank very slow, so it is imperative you fit binoculars or optics when you make the transition. From there you will want one of the long-barreled guns - the slower fire rate, but better accuracy allows you to be more consistent at longer ranges. However, take note of the reduction of gun depression by 2 degrees to a final value of 8 degrees. A gun laying drive can be of use and reduces your vulnerability when spotted, or in a solo situtation. For players that favor close-ranged combat, the 10.5cm gun with HEAT is a good option with its high damage output per shell. However you will have to deal with the cons of this vehicle in order to use this gun effectively. This gun can be used to good effect in urban environments with ranges limited from 50 to 100 meters. Just be sure to aim for the weak spots and have some support when reloading. Also, if you do use the howitzer, DO NOT FIRE AP AMMO! It is a waste of your time and money because of the low penetration and accuracy. With HE shells, you can deal splash damage even if you do not penetrate. You will find this tank a welcome relief from the horrible penetration of the 5cm L60 on the DW2 (why wasn't there an unhistorical long 5cm? Or even, the basically historical short KwK40 75mm L/43?). Aside from the howitzer, there is really no reason to use anything but the Waffe as it outclasses all the other guns, but there is a relationship with other tier 5s. Take note that is this tier 5, a rammer is now nearly mandatory due to the low DPM. Researching the HL 150 engine is not mandatory as it is unlocked for free with the VK 36 research; but it may give you a better feel for the speed of the Panther line to research it if the VK30M is your intent, however. Upon purchasing this tank, you should immediately install the 7.5 cm KwK 40 L/43 (if researched on Pz.IV) and upgrade the radio to at least the FuG 7. 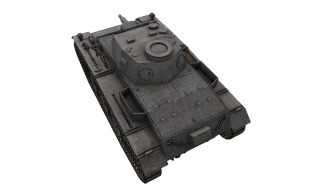 If you haven't researched the 7.5 cm KwK 40 L/43 yet, research it for a major boost in firepower. Now upgrade the suspension and turret. Next you can decide between going for the 10,5 cm Kw.K. L/28 howitzer or working towards the Waffe by getting the 7,5 cm KwK.K. 40 L/48. On the way to the Waffe, If you really find the L/48 to be unacceptable, you can stop for the L/70 which is almost as good as the Waffe while being much cheaper to unlock. Now research the choice on the line above that you didn't do. If planning to go to the VK3601H next, you can choose to leave the top engine. It only provides another 25 h.p. 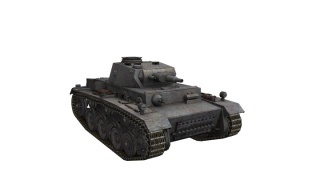 and will unlock for free upon researching the VK3601H. However, it does provide more engine HP, so you will have your engine damaged less often. 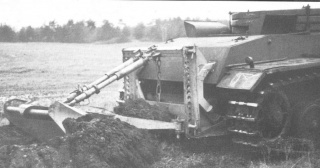 VK 30.01 (H) is a further development of the Durchbruchswagen concept. 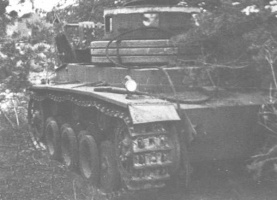 The DW vehicles (DW1 and DW2) were – as their name in German suggests – attempts to create a breakthrough tank (in other words, essentially a heavy tank). On September 9, 1938, it was decided to continue with the DW 30 ton category development. On January 1, 1939, Krupp decided that the new vehicle should be equipped with a 75mm L/24 cannon, the crew should be equal to that of Panzer IV and the tank should have 50mm armor all around. On January 31, 1939, this new vehicle program was renamed to Panzerkampfwagen VI (7,5cm), but the new experimental designation for it was VK 30.01 (experimental/tracked vehicle, 30 tons, 1st prototype). At the same time, the old DW projects were renamed to VK 30.01 (Alte Konstruktion), while the new VK 30.01 was referred to as “Neue Konstruktion” (new design). 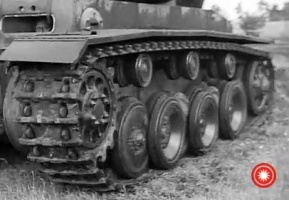 Design-wise, it was a classical German tank, with typical Henschel suspension that would eventually evolve into the Tiger suspension via VK 36.01. The roadwheels had torsion bar suspension. 3 prototypes were ordered. The hulls were made by Krupp in Essen and delivered to Henschel in Kassel for final assembly in 1940. Turrets were also ordered and Krupp was supposed to deliver them in 1940. However, these came later and most likely were never installed on any prototype machines. 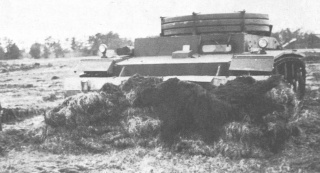 The three prototypes instead had a concrete cube installed instead of the turret to simulate the turret weight. The vehicles were equipped with 300hp Maybach HL116 engines and their maximum road speed was 35km/h. On May 25, 1941, the first order for 8 0-series VK 30.01 (H) tanks was signed. Between October 1941 and January 1942, Henschel also recieved the 8 turrets from Krupp that were to be mounted on the 0-series vehicles. 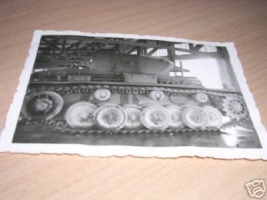 The first 0-series hull was delivered on August 8, 1941, and on November 15, 1941, the first 0-series VK 30.01 (H) (with a mounted turret) was tested in Sennelager. This first 0-series VK 30.01 (H) was by no means finished, however, (some components were missing) and it was sent back to Henschel. The last hull was delivered on November 10, 1941 and the last turret on January 21, 1942. Maybach also built 18 engines in total for the VK 30.01 between 1941 and 1943. On January 30, 1942, based on the preliminary tests (which did not show the vehicle in a very positive light), it was decided to reduce the amount of the 0-series tanks being built to only 4 vehicles, which were built in March (2 vehicles) and October 1942 (another 2). These tanks were sent to training units and were used for crew training. - 75mm KwK L/34,6 (lengthened version of L/24) - 50mm KwK L/50 - 50mm KwK L/60 - 75mm Waffe 0725 (which WoT players will know as the 75mm Konisch on VK 36.01, but it was shown later that this could not be installed). WaPA 6 responded in the sense that they would like the 75mm KwK 40 L/43 to be installed. Krupp replied that in order to do that, either the gun would have to be modified, or the turret would have to be bigger. In January 1942, the re-arm project was scrapped. Two hulls were subsequently used to build the two 128mm tank destroyers “12,8cm Kanone 40 L/61 auf VK 30.01(H)”, known as “Sturer Emil”. 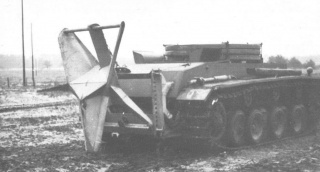 Additional turrets that were already manufactured before the 0-series VK 30.01 (H) project was reduced were used for fixed emplacements in France (the Atlantic Wall). The remaining machines were used for crew training and testing various equipment until the end of the war, when they were scrapped.